Water games and simple treats are the hallmark of a summer day around here. My girl’s beg to put on their swim suits as soon as we get home and they head outside to play in the pool, sprinkler, or just goof around with our new water bombs. After a hour or two or three they join me in the shade looking for a treat. Days spent outside, water games, and simple treats are just better together. 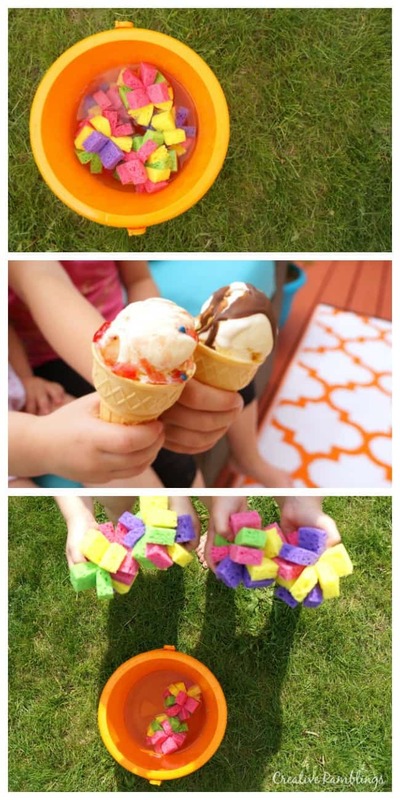 Check out how easy it is to make these DIY sponge water bombs and ideas for simple summer treats. Summer always seems so short and I want to savor every moment. Enjoying the simple things like beautiful weather, inexpensive games and delicious treats are exactly what my family and I need to have a perfect day. 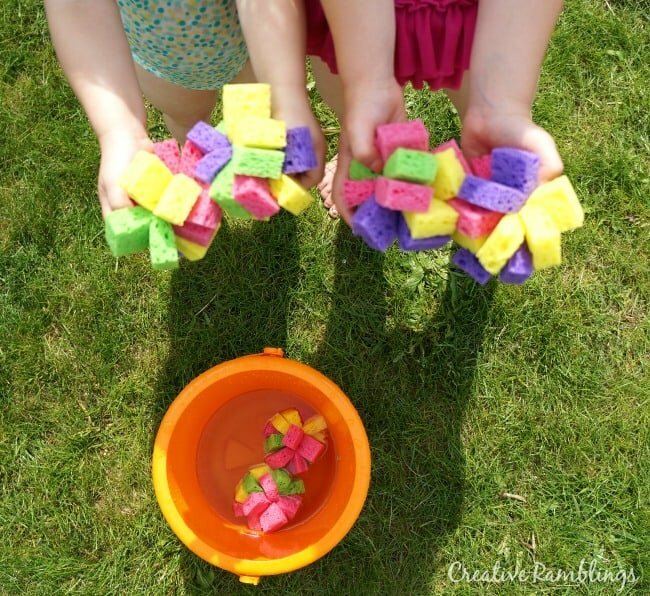 I made these oh so simple DIY sponge water bombs and they have already provided days of fun for my girl’s and their friends. They are holding up really well and I suspect they will continue to be a favorite toy this summer. 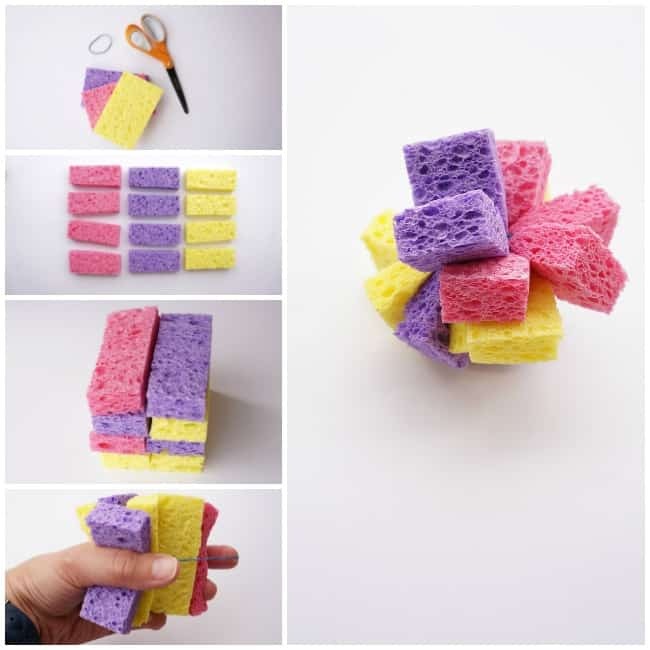 I started by cutting each sponge into 4 pieces. Then I stacked them into piles of 8 and wrapped a rubber band tightly around the stack. 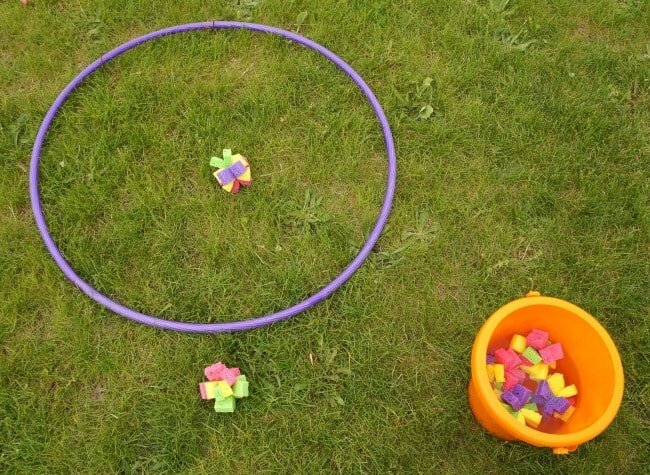 That’s it, it’s seriously that easy to make a toy that kids will LOVE this summer. 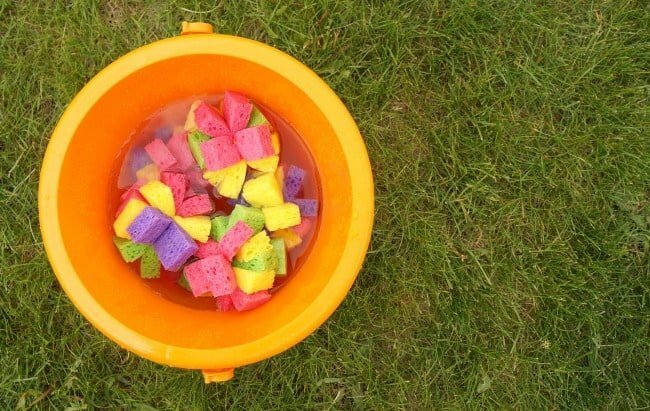 I dropped the water bombs into a bucket of water and let the kids have at it. My girl’s played games tossing them into hoops and throwing them at each other. They also make pretty designs when thrown onto a dry driveway. Seriously, hours of fun the first day we played with these. 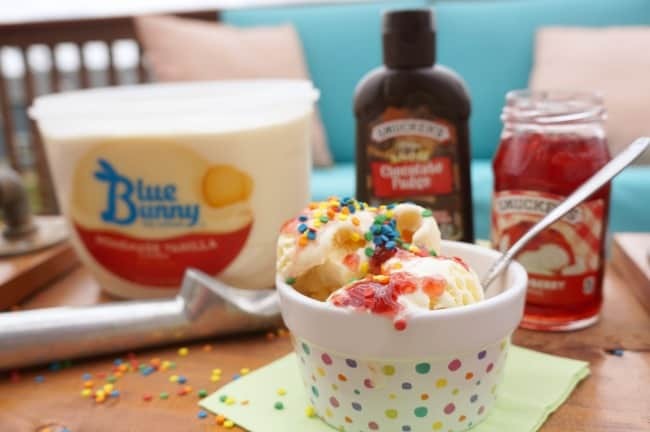 Once the kids were worn out we cozied up on the deck and I brought out a tray of Blue Bunny® Homemade Vanilla ice cream and Smucker’s toppings. 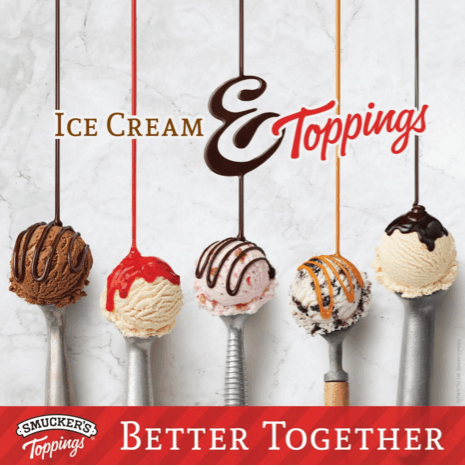 Ice cream and toppings are better together, they let the whole family get creative with dessert without having to leave home. 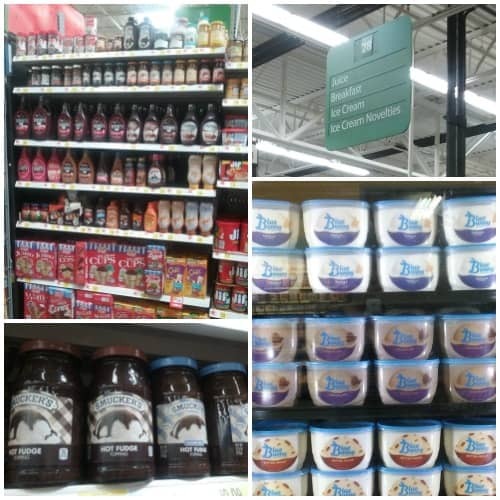 I picked up everything for our simple summer treat at Walmart. 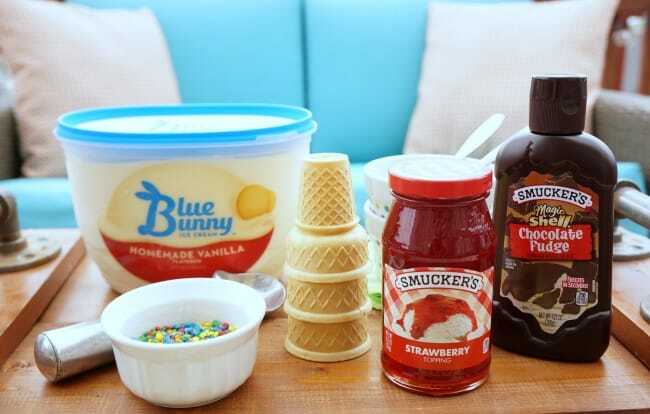 I chose Smucker’s Strawberry Spoonable Topping for me, I love a fruity topping with simple vanilla ice cream. I grabbed Smucker’s Magic Shell Chocolate Fudge Topping for the girl’s, they are blown away by how this works. It goes on as a liquid and hardens into a delicious shell. I set out cones, dishes and sprinkles and let everyone make their own treat. This is so much easier then going out for ice cream. I love that the kids can stay in their swim suits and we’re not spending extra on restaurant treats. You can get everything you need to make these water bombs and summer treats at Walmart, plus you can earn cash back on Smucker’s Ice Cream Toppings with the free Ibotta app! 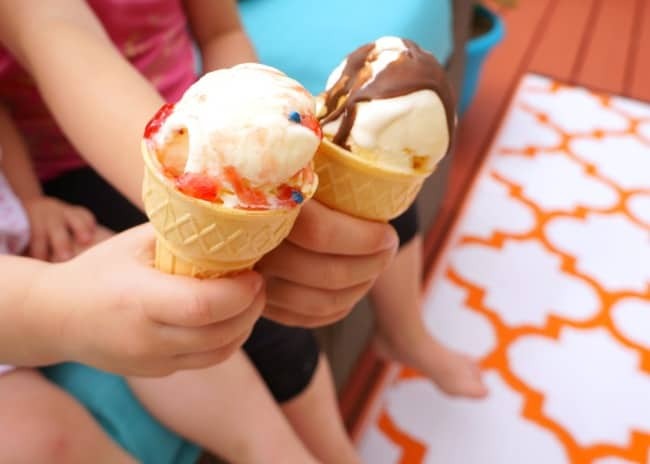 Water bombs, ice cream and toppings are better together. Get more inspiration here and tell me what special treat will you be making this summer?